I have a confession to make. 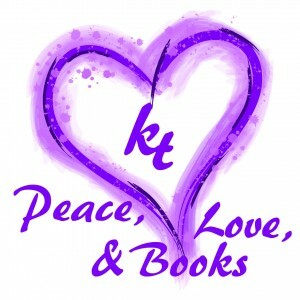 I write historically set books, and my younger daughter hates history. How do I know that? She’s told me so on any number of occasions, usually when she’s struggling through homework. She’s asked me to explain such concepts as mercantilism and feudalism because she didn’t understand them as presented by her teachers. Part of me wonders if that’s because the teachers introduce such topics as a series of cold facts, and I tend to turn concepts into stories. I don’t know about anyone else, but I’m more interested in things like people’s belief in placing cow dung on a woman’s privates might increase fertility. (Seriously? That’s not a turn-off? OK, whatever you’re into.) Or how cleaning one’s teeth with gunpowder leads to healthier gums. That’s day-to-day life of the sort you find in historical novels, rather than the big picture of dates and battles that glosses over humanity. Take, for example, Henry II of France. In school you might learn he lived from 1519 to 1559, was married to Catherine de Medicis, was not expected to become king until his older brother died, and he fought wars against the House of Hapsburg while trying to suppress the Protestant Reformation in France. What you miss in school was he and Catherine were both 14 when they married, and it took them ten years to produce children—despite or because of Catherine trying that cow manure trick. But once they got it right, they had ten children. You miss that Henry was actually deeply in love with a woman nearly twenty years his senior who held all the power at court and Catherine didn’t become a force to be reckoned with until her husband died, leaving the succession to his teenage sons. Can you imagine all the delicious tension and intrigue? That’s the stuff of historical novels. Due to distribution requirements, my history-hating daughter is taking a European history class this semester. She has to produce a term paper on a specific event, and she’s chosen to write about the Gutenberg Bible (with absolutely no influence on my part, mind you). When she told me, I may have gone on at length how that one event led to books becoming rare commodities to making them accessible to everyone. A highly appropriate topic, even if she didn’t realize it when she picked if off the list.